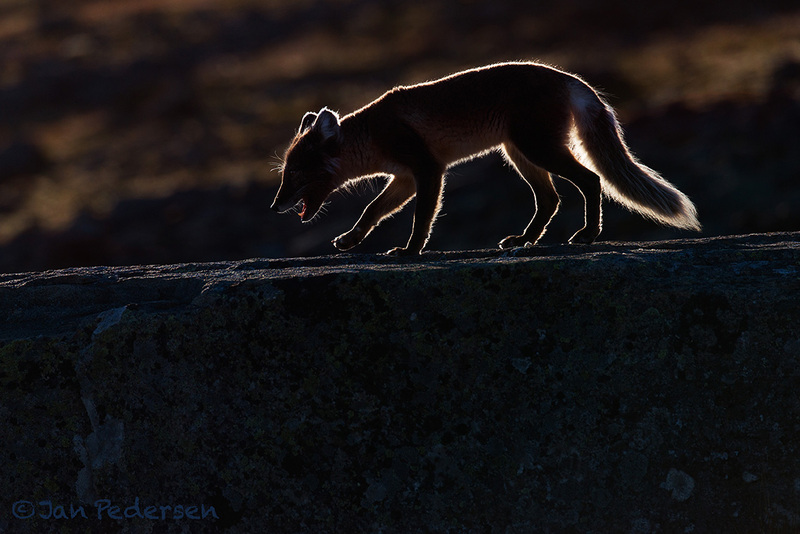 Arctic fox in backlight from the midnight sun at 03.10 a.m.
Left Svalbards Arctic climate some hours ago after 2 weeks to the pack-ice and around. Memory cards are full - mostly of white images and white bears. More will follow.